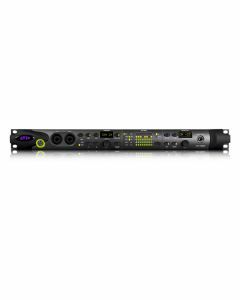 HD OMNI is an all-in-one professional preamp, I/O, and monitoring interface for Pro Tools|HD family systems. Capture pristine, high-resolution audio through premium mic preamps, connect your gear to a wide array of analog and digital I/O, and monitor your sessions in up to 7.1 surround—with ultra-low latency—all in one compact, cost-effective interface. Note: Please be aware that you’ll need Pro Tools HD 8.1 or higher software to use this interface—a free update is available for download to all registered Pro Tools HD 8.x users.